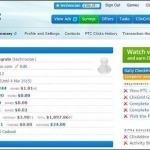 PTC GPT sites could be the easiest way to make money online. You have to click the ads complete other tasks to get paid here. But if you want to make big money from these sites then there are 2 important factors that play a big role in your earnings. 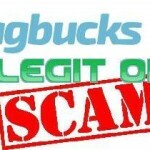 The first factor is choose the sites that are really trusted paying their members regularly. And another important factor is you must have 100+ referrals. And for other factor, I am going to show you 40 ways in this post that will help you to get hundreds of referrals. All the 40 ways explained here are unique even if you get 5 referrals from single method, you can have 200 referrals. And I am sure, you can make more than $500 (Rs.30,000) if you have 200+ referrals. So here are 40 ways to get more referral to PTC sites. 1. Ask your friends relatives through Email, SMS, Whatsapp etc. The first step to promote your referral link is by asking your friends relatives by sending an email, SMS or through Whatsapp. Every person has at least 500 contacts in their phone directory. So start sending your referral link today by all the methods possible. I am sure, you will get at least 10% conversion. 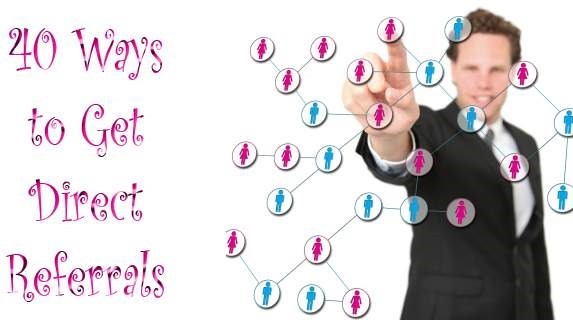 This is my favorite method I have got around more than 200 referrals by promoting my referral links on social media sites like Facebook, Twitter etc. Start this by sharing in your Facebook profiles posting on your friends walls. You can also join hundreds of active pages groups on Facebook related to PTC, make money, work from home similar topics post your link everywhere. You can also promote in other sites like Twitter, Google+, Pinterest, Instagram etc. This method also works great if you can write good comments on blogs. There are millions of blogs on internet one of the feature of these blogs is you can write the comment on the articles on these blogs. The readers of these blogs can see your comment if you have left your referral link in the comment then they can directly visit the PTC sites join it. You have to search the blogs related to the topics like make money, work from home, online jobs, PTC, GPT, online surveys etc. then write some good comment related to the post otherwise the blog owner will reject your comment. Similarly, you can also comment on most viewed YouTube videos so that people can see your referral link click to join. You can print pamphlets and flyers with all the information about the site and the referral links distribute through newspapers OR directly at bus stops, schools, theatres, hospitals and other public places. The money that you have to spend is not very much and you would be able to afford the cost. But the response is much better. 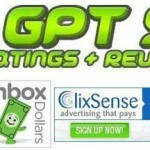 Again advertising on PTC and GPT sites would ensure your referrals coming on to your site are in great numbers. You can also invest a little amount advertise your best PTC sites. OR most of the sites offer you points for advertising on their website or you can use your earning balance to advertise for your other PTC sites. You exchange traffic with others just like you, who are also in a need to get more referrals. You can do these free of cost as well as paying money. Free ways have limitations but if you go for paid one then you get more referrals. There are certain sites that let you exchange traffic with others who are also looking for people like you. However most of referral exchange sites charge a fee for letting you exchange traffic. Creating a website promoting your PTC GPT sites through your blog is one of the best method. You can write reviews of PTC sites or use direct banners in your blog posts or sidebars with your referral link. Creating a blog is very simple today. It takes very little investment. I have written a very useful post here that can help you to create a website. Ad swapping could be a great way to get more referrals. Moreover it is absolutely free of cost. If you have a list of subscribers then you can swap your list with other marketers on the internet. You just have to send an email to their list and they will reciprocate you in return. You can signup with Google AdWords pay money to run a PPC campaign with Google Adwords. You can get instant targeted traffic from Google. You can redirect all the traffic to your website from your website to your PTC sites. The traffic you get is genuine but the cost of running a campaign could be high because of competition. This is the best method if you have some investment. You can check the sites like BlogAds BuySellAds for some of the best blogs with cheap offers where you can advertise. 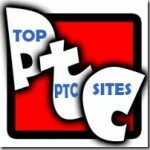 Your banners will appear on the sidebar of these blogs you can get good traffic to your ptc sites from these blogs. You can create sign up offers and get visitors to click your PTC links. You let visitors coming to your website to click your PTC links first and only then you allow them to sign up for an offer you just created. This is also a free way to get referrals. If you have database of emails and you are sending emails to people on daily basis then you can add your PTC link into your email signature. This would be a great way promoting your links for free. Moreover it is easy to do and less time consuming. Chats rooms and forums are really great for new marketers who want to get more referrals. You can join various chat rooms, forums, discussion boards etc and engage people there and bring them to click your referral links. This technique is absolutely free of cost. The traffic that you get is quite targeted. New marketers must try this method. You can submit blog posts and articles to various article directories with your referral link at the bottom of every article you wrote. Although submitting to article directories are obsolete but you can give a try especially if you are a new comer. It is because this is for free and easy to get started. Now this is a serious way you can get more referrals. Downline builder tool is one of the smartest ways to generate referrals. It is actually a website where you can advertise multiple PTC sites, Traffic Exchanges and other affiliate programs at one given place. Downline Builder tool is really great for people who don’t have website and you also get direct viral traffic. 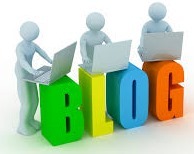 Do not underestimate the power of guest blogging. It is still effective when it comes to getting more referrals. You write guest posts for popular sites with high Alexa ranking and give a referral link at the bottom of your post. 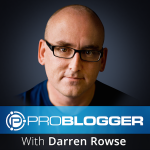 You will get great exposure if wrote a guest post for a popular site. Safelists is better than Traffic Exchanges when it comes to getting more referrals. Safelists have time limit before you spend your next email again. However you can also use software for safelists to save time because they run on autopilot programs. Safelist is revolutionizing the PTC world. 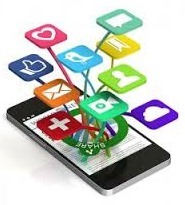 Following tips are all about managing social media platform. The first one is Twitter a great micro blogging platform. If you are able to build an army of followers then you can use them to get more referrals. Every time you tweet you can add a link to your tweet. However do remember that your tweets must be genuine and it should not be a bot. Creating a video is not that difficult. Millions of videos are uploaded daily on YouTube not all the people who upload the videos are expert. You can create a video, either with your smartphone, web camera or screen recording software like Camtesia. You can upload videos on make money tips, extra income opportunity or other topics. Put your referral link at the end of the video even in descriptions. If the video is great liked by people, you can get hundreds of referrals from each every videos you upload. Ezine article is basically an article directory where you publish articles. It was popular few years back but now it has become quite obsolete. However still you can submit articles related to your topic to this site and add a referral link in the bio section. Still you can get traffic from ezine articles. Classified sites are also great way to promote what you are doing. You need to create ads and let people know what you are promoting. This is really great for new marketers who can’t spend money. You create ads on these websites and refer people to click your link. You can write eBooks and give away it for free with referral links at the bottom of every page in the book. However writing an eBook could be a daunting task. But you can do it because you have to write only 8 to 10 pages. Then you can give for free and people love free stuff. You get to promote your referral link. 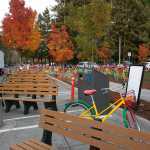 You can personally visit the people in schools, colleges, malls or other public places explain the students other people about these sites benefits of working on these sites. You can easily get number of referrals because school kids students needs extra pocket money. Instant Messenger is another trick to get more referrals. You can add your blog or referral link in your instant messenger status and add as much as new members to foster new relationships. There are instant managers of various companies like Google, Microsoft, Yahoo, MSN, Skype etc. Use them and promote your brand. You must learn SEO techniques so that you can use those techniques to rank your site with some of the best keywords like ‘make money online’, ‘data entry jobs’, ‘ptc sites’, ‘extra income’ etc. Once your website ranks with any or all of the keywords, you will get real targeted traffic who are ready to join your recommended websites. Testimonials still remains the most powerful tool of marketing. Testimonials can do wonders. If you have genuine testimonials then attach your referral link to the images and publish them on your blog or website. People would definitely like to visit your link because testimonials have emotional appeal. Although it could be a spam and unethical but still an effective way to get more referrals to your site. You can get a bot or macro to post your referral links anywhere anytime. You can get this on any server you are hosting your website on. Now following few tips have to be done offline. You have to manage them when you are offline. The first thing you can do is advertise about your website in local newspaper. Later you can advertise in mainstream national newspapers. Yes you have to pay money but traffic you get is genuine. Now from print medium you can move on to the electronic medium. Yes it could cost you an arm and a leg. The cost is very high for advertising on a mainstream news channel. But you can run infomercials on some of the cable channels. This is very extreme but if you are serious about referral links then you can pay this cost. 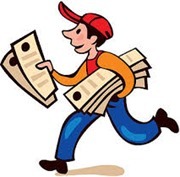 If you cannot afford advertising on newspaper or a news channel then you can go for door to door marketing. Door to door marketing can be done by anybody even a newcomer like you. You can go door to door and advertise your website that has referral links. It is free. Advertising on billboards can get you much targeted traffic. The cost could be high because advertising on billboards is highly competitive. However it is still very effective. You have to create an advertisement with your referral link. This will work definitely if you want to give a shot. Similarly you can print business cards with your links on them. It is the cheapest way of spreading your word about your website. You can give your card to everyone you meet on daily basis. You don’t get much traffic but still you can try. Bumper stickers are the easiest way to promote your referral link. Although the traffic that you will receive is very less and not targeted but still it is the easiest way of promoting your website for more traffic. So these were few silly ways for promoting your referral links. If you are an experienced marketer then give seminars on regular basis. While giving seminars you can spread a word about your referral link or website you are promoting. You can also organize workshops and get more people to visit your website. Advertising on local radio station is also a great way getting your word out in the public. It is extension of advertising on mainstream media like print and electronic media. Local radio stations are very effective because you get targeted local traffic. This is a funny way to promote but very interesting marketing tool. Marketing via custom made shirt or t-shirts with links and other images or calligraphy is nothing new. You can do this with referral links also. There are many online sites where you can order t-shirts with your text or images printed on this. Tattoos could be too wild but you can give a shot. Yes you are not going to get enough traffic with this trick but still it is worth giving a shot. If you like then you can get a tattoo with the referral link. Finally this is a serious way of promoting your referral link. You can’t ignore it. It is very effective and marketers are already using it. You can send bulk SMS with your referral links to people with mobile phones. This is something funny but it can work great because hundreds of people who will walk on the street will read your link message join the site. The charges that you incur are low but you still get some traffic coming to your website. Here you have to set up link exchange directory website for PTC and GPT owners around the internet. This is the place where you will get more like minded marketers who are willing to exchange traffic with you. You can also place banner ads on your site in order to get more like minded marketers. So these were 40 tips covering all aspects of marketing for promoting your referral link for PTC sites. Wish you a great luck for getting hundreds of referrals through all these methods.